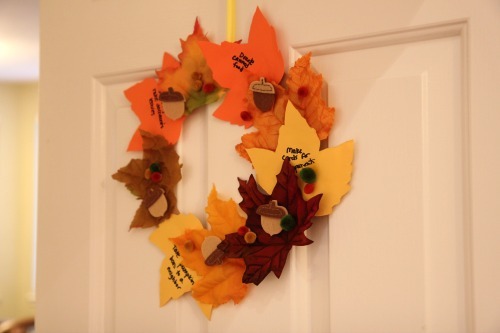 We love to make wreaths for different seasons and use them to decorate our home. This fall we decided to create a kindness wreath to help us remember to do little acts of kindness for our friends, neighbors, and other people in our community. In order to make our Fall Kindness Wreath, we started by gathering up several supplies from our craft cupboard. To get started we cut out some leaves from the colored cardstock. 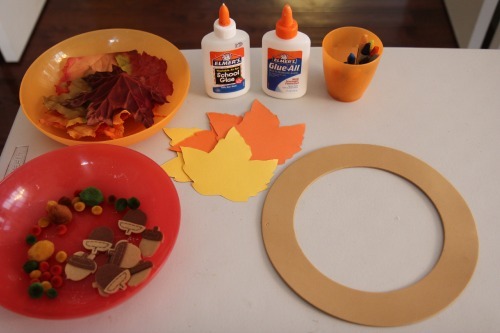 Then we glued fabric and paper leaves onto the wreath base using Elmers glue. After we brainstormed, we chose a few acts of kindness to write on our leaves. Then we hung the wreath up so that we can see it often and remember to do the acts of kindness that we selected. 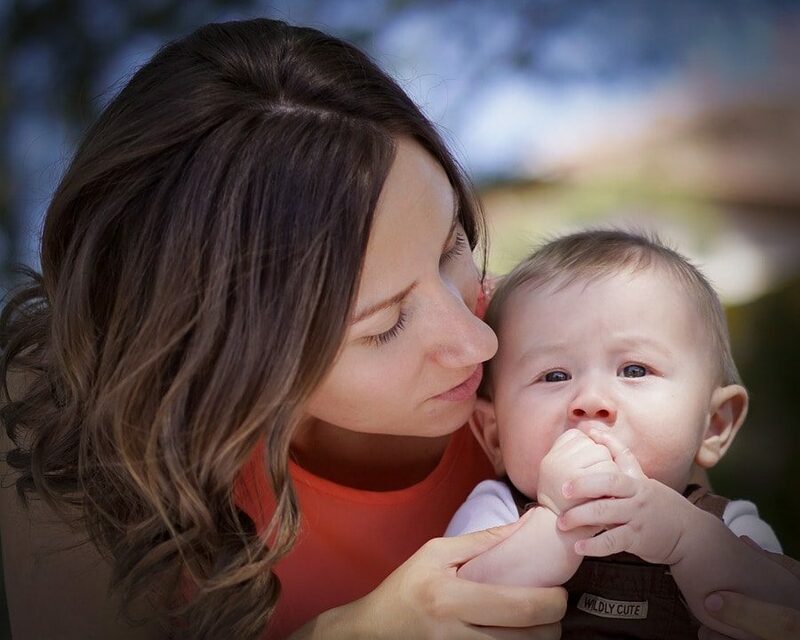 I love that the wreath looks pretty and also can be used to help teach my kids to do nice things for other people! 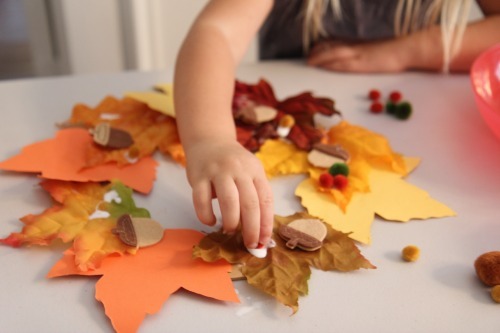 Have you made wreaths with your kids before? 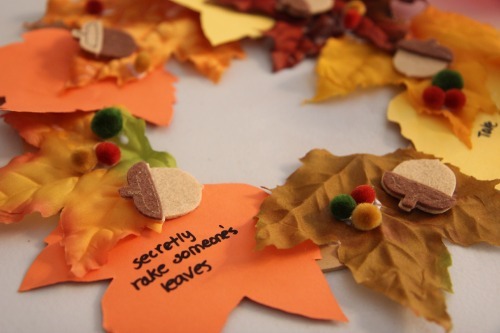 What are some other fall-themed acts of kindness we could add to our list?